An associate professor at the University of Waterloo says aviation in Canada faces an “existential crisis” because of the unsustainable absorption of fresh pilot graduates by labour-short airlines. In an opinion piece in MacLeans Magazine, Suzanne Kearns says that unless the current system is disrupted, there will be nowhere near enough instructors left in Canada to train the pilots that will be so desperately needed. A lot of students quit before they get half way through their training because they run out of money and student loans won’t cover the flight training part of a pilot’s education. 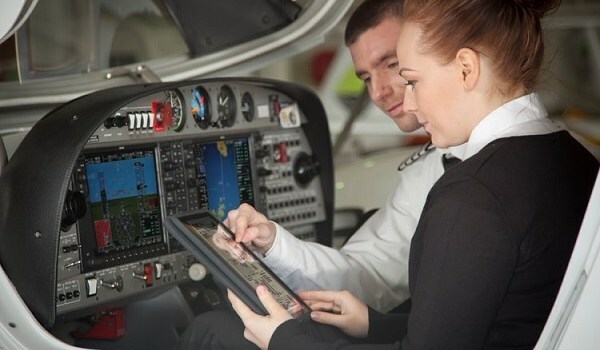 With all of those headwinds, it adds up to a projected Canadian shortage of almost 3,000 pilots by 2025,” she wrote. That will inevitably lead to more flight cancellations and delays for passengers. There are also concerns that unseasoned pilots are getting huge responsibilities much earlier in their careers. With more emphasis on simulator and type training, young pilots are being put in first officer positions without experiencing the instructing, bush flying and jump pilot interim jobs that many used to build hours until recently. “I have begrudgingly started to use the word ‘crisis’ as we continue to see every sector of the aviation industry scoop up pilots from the beginning of the supply chain,” Kearns quoted Dan Glass, the president of Mitchinson Flight Centre in Saskatoon, as saying.